A prize-winning non-fiction author and a specialist in wartime photographic material join forces to show Finnish life during World War II, both at the front lines and the home front. What did the Winter War (1939-1940) and the Continuation War (1941-1944) look like from the trenches? What was it like to live under constant threat of arbitrary death? How did the war affect daily life on the home front, where the majority of the population perpetually feared bombings and for the safety of their loved ones at the front? What marks did the often-faceless violence, stress, and loss leave on minds, memories, and the culture as a whole? 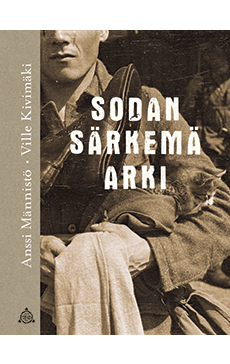 Non-fiction Finlandia Prize winner Ville Kivimäki delves into everyday life during wartime, how people experienced the war. What rises to the fore is the human urge to keep living one’s life regardless of the surrounding circumstances. It’s a powerful force, but sometimes war proved stronger, and it always left a trace. The photographs, selected and explained by Anssi Männistö, tell their own rich, insightful tale about the world of those who lived life during wartime – only 70 years ago, yet wholly unfamiliar to many of us.